We are the Manufacturer(Automatic Dairy Processing Plant), Exporter & Service Provider of Quality Approved Assortment of Dairy Farm Equipment to our valued clients. 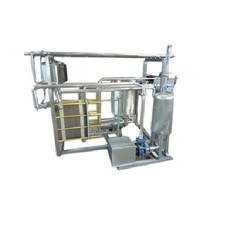 With the help of our team of adroit professionals, we have become a reliable organization of a high quality assortment of Automatic Milk Processing Plants. Being a quality-oriented organization, we assure our clients that this plant is the best in quality. Our skilled professionals only utilize fine quality raw material, while manufacturing the entire range of crystallizer. Moreover, our offered plant can be availed in a wide range of specifications, as per the requirements of our esteemed clients. 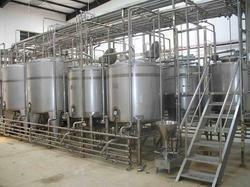 From our wide range of products, we offer optimum quality Milk Storage Tank. 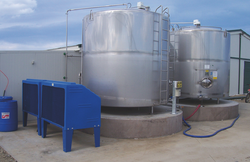 The offered tank is manufactured using optimum quality components and high-end technology. 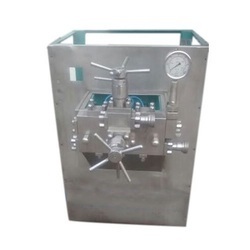 We offer this tank in different models and other related technical specifications, in order to meet needs of our prestigious clients. It is used to store the milk at desired temperature for longer durations. The tank is provided with insulation in the outer jacket to prevent the temperature dropping. 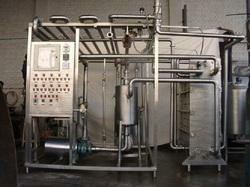 The tank can also be provided with slow speed agitator for regular mixing of the milk. Apart from this, our offered tank is rigorously tested by our experts on well-defined parameters to deliver a flawless range at our client's end.